Interviewing for a job can definitely be a nerve-wracking experience. However, candidates have a lot more control over the process than they think. As with many things in life, preparation is the key to success when it comes to interviewing. Learn everything you can about the company. When you are going through the company’s website, pay special attention to the annual reports, corporate value statements and recent press releases. This information will help you formulate your answers, as well as any questions you have for the interviewers. Your preparation won’t go unnoticed during the interview; it will show that you have a genuine interest in the company. You will often know who you will be interviewing with in advance of the interview, so use that knowledge to your advantage. LinkedIn can be a valuable tool to learn about your interviewers’ professional backgrounds, and it can also help you identify whether you have any personal connections at the company. If you do, reach out to them to see if they can give you insight into aspects of the company or the job that go above and beyond what’s stated in the job description. 2. Be thoughtful when answering questions. In the heat of the moment, you may feel pressure to answer questions immediately. However, you are allowed to take a moment to gather your thoughts and think about what you want to say before answering. You aren’t getting paid by the word, so make sure to be direct and consice when making your point and then wrap up quickly. Practicing your responses to a number of likely interview questions in advance is a great way to perfect your responses. 3. Mind your body language. Actions speak louder than words. If you are stone-faced and hunched over in your chair as you tell an interviewer how passionate you are about their company, you are sending conflicting messages. Instead, maintain steady eye contact and posture and, most importantly, smile! Smiling will not only make you appear more likable and confident, but it will actually help you feel more confident. 4. Know your resume backward and forward. Obviously, you should be extremely familiar with all of the information listed in your resume, but don’t forget about the information that is not listed. Add extra color commentary and details to bring your experiences to life, putting them in the context of your overall career goals and your interest in the job position. 5. Emphasize your strengths and explain whythey make you a good fit for the role. Make your interviewer’s job easier by spelling out why you think you are the ideal candidate for the position at hand. Be confident in your abilities, but don’t come across as arrogant. Drive home your fit for the position by re-summarizing your strengths briefly as you wrap up your interview. Come to the interview with 6 to 10 questions about the job and the company. Take time to research your questions. If you ask an interviewer something that could easily be found on the company website, you will look unprepared and disinterested. Also, use the homework you did about the people interviewing you to ask about their career progression at the company. Most people will be flattered that you have shown an interest in them and will happily share their experiences. 7. Stay engaged until the end. It’s not over until it’s over. Take notes throughout the interview to demonstrate that you are engaged with what the other person is saying and be sure to ask about the next steps in the interview process. If you are given instructions for next steps, follow them exactly—treat it like your first assignment on the job. Immediately after your interview, send a thank-you note to your interviewers and personalize the notes with references to your conversations with them. 8. Look out for No. 1. Remember that interviews are a venue for you to assess whether a company will be a good fit for you, not just the other way around. Use the interview process to determine whether the role fits with your career goals and expectations. Be honest with yourself and the company about whether this is a role that you are excited about and prepared for. Sarah Benz is a director of recruiting for the Messina Group. With nearly a decade of experience in enterprise staffing, Sarah is dedicated to partnering with Messina’s clients to locate the ideal candidates for each company’s customized needs. Sarah has worked extensively with the engineering and scientific industries and intimately understands the technical and interpersonal skills those companies are looking for. 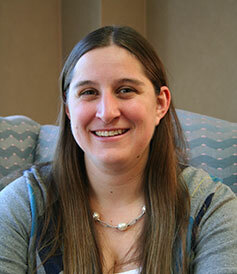 Before beginning her recruiting career, Sarah served as the marketing coordinator for Messina. Sarah enjoys spending time with her family and friends, volunteering and playing and coaching sports. Copyright © 2018 Messina Group, Inc.